The Winter Olympics are wrapping up tomorrow night, but there's still time to enjoy a fun Olympics party or even just a great family dinner while watching the closing ceremonies. 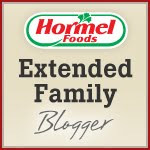 Hormel has some great suggestions for international ideas in homage to the Winter Games--best enjoyed in the comfort of your cozy living room while watching athletes from countries around the world compete on the snow and ice. As awesome as the Olympics are, it does look just a week bit cold out there! Szechuan Spicy Chicken and Vegetables – Spice up the celebration with this Asian-inspired dish. The House of Tsang® Mandarin Marinade compliments the chicken and vegetables and provides a hint of sweetness. Shredded Beef Enchiladas – You can’t go wrong with enchiladas! 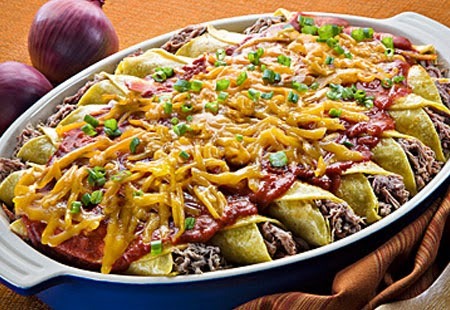 This recipe calls for La Victoria® Red Enchilada Sauce to add authentic Mexican flavor. Lloyd’s® BBQ Sliders – Ready in minutes, these sliders are a quick, easy, and delicious option so you can spend more time with friends and family and less time in the kitchen. What are your favorite dishes for tv viewing parties?